Previously dropping in “Olive,” “Triple Black,” and “Black/Team Orange” colorways, the all-new Nike Air Huarache Gripp silhouette is returning in a “Light Orewood Brown” iteration. 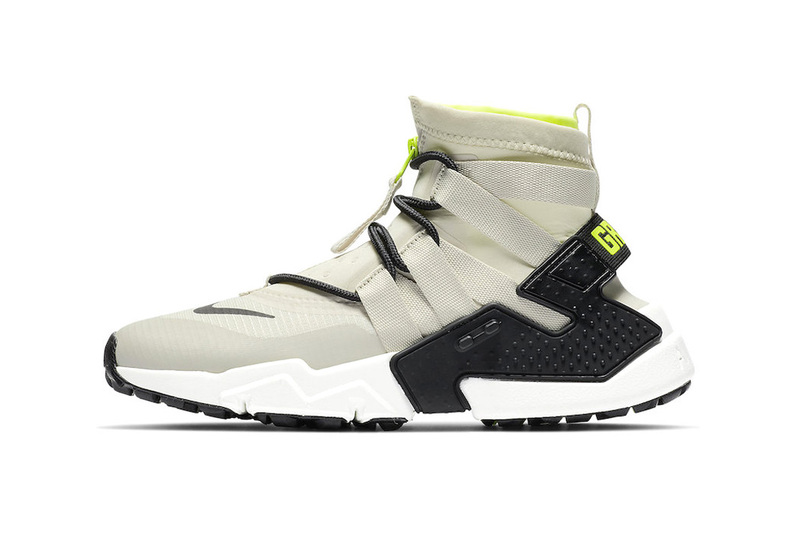 Taking notes from the Huarache silhouette, the updated version totes a newly designed tread for increased traction and stability, met with a mesh sock-inner that’s paired with an elastic heel strap and foot cage for increased support and function. The shoe utilizes a zipper system on the tongue for quick in-and-out access. The sneaker comes together in this uniquely versatile Earth-toned colorway. Take a look at the official images above, and if you’d like to purchase a pair they’ll be arriving at Nike’s web store this Spring for $140 USD. In related footwear news, checkout Versace’s newly debuted SQUALO sneaker. An impressive lineup for 2019. Using the Janoski and Janoski Slip.